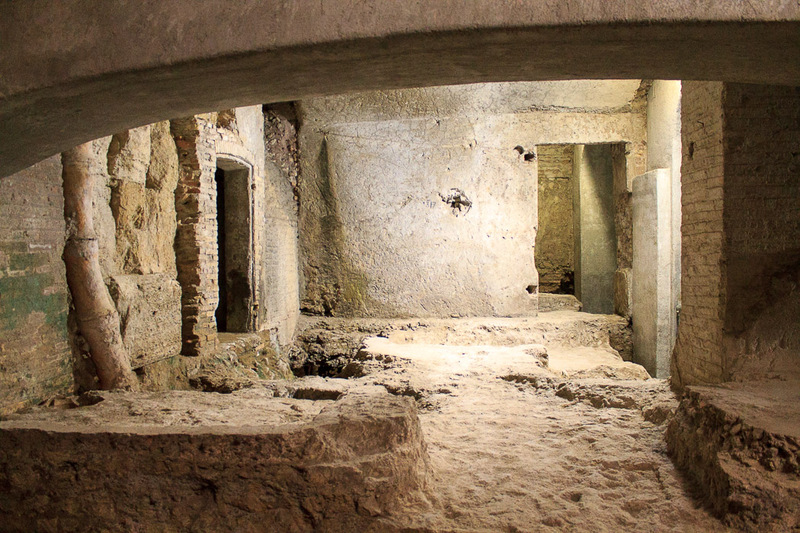 The Crypta Balbi is one of the four buildings which are part of the National Museum of Rome, along with Terme di Diocleziano, Palazzo Altemps and Palazzo Massimo. 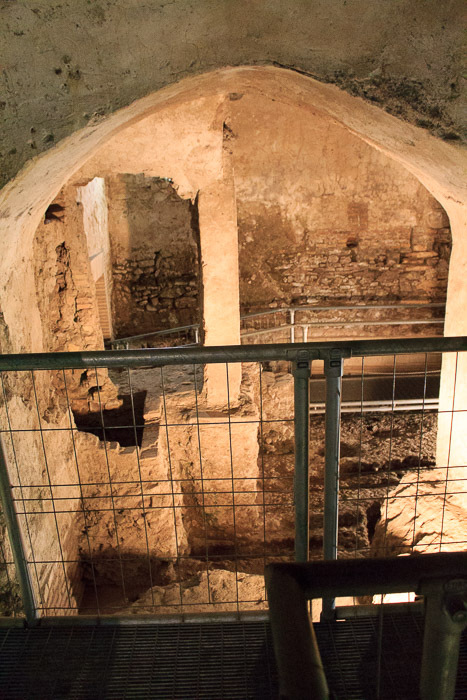 Digging on the site in 1981 led to the discovery of the colonnaded quadriporticus of the Theatre of Lucius Cornelius Balbus, and evidence of a medieval neighborhood on the site, so excavation was performed and this museum opened to display the findings in 2001. 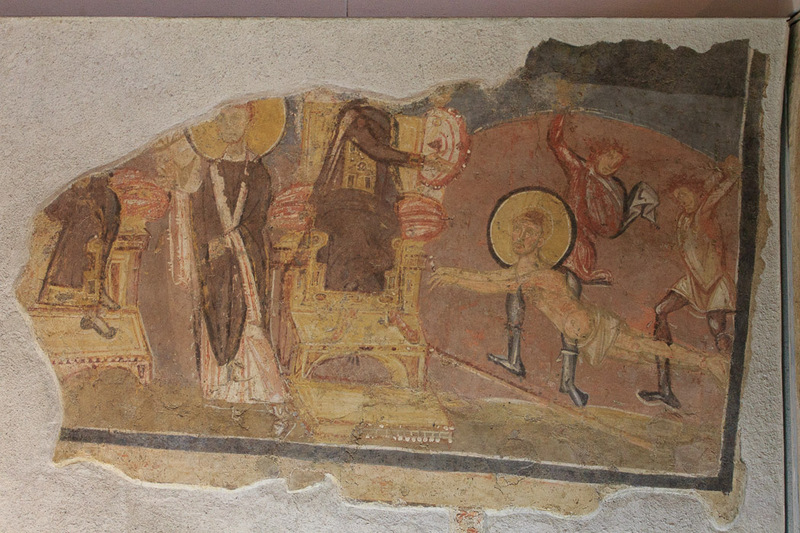 The ground floor and first floor tell the story of the excavation, and illustrates life in medieval Rome. 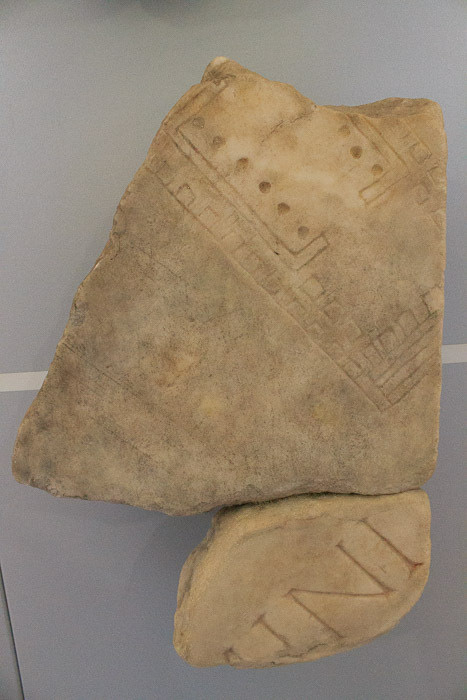 There are also some fragments from the Forma Urbis on display on the first floor. 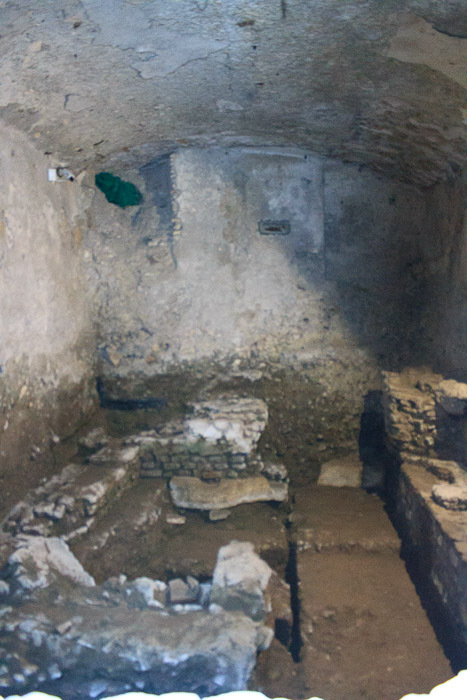 The basement contains the archaelogical remains. Groups of visitors are escorted down by a member of the museum staff to have a brief look at them. 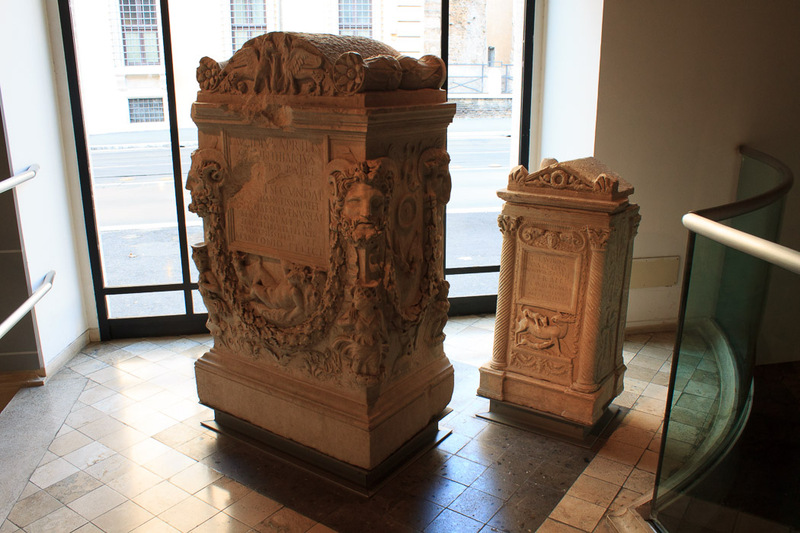 So this is basically a "Museum of Rome in the Middle Ages" with an ancient site in the basement and a few ancient relics on the main floors. This is another site, like the Palatine Hill which I believe could and should be presented much better than it is. 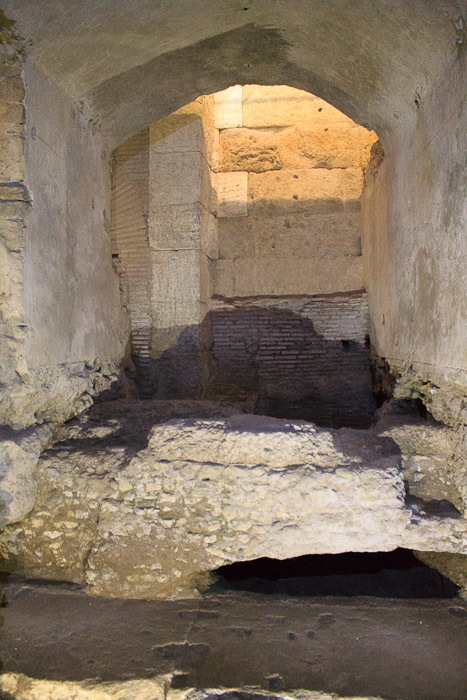 As I remember, there are few signs on the first floor and no signs in the basement, so instead of being a meaningful educational experience that time in the basement turned into simply some time to uselessly ramble around some Roman ruins that I didn't really understand at all. This museum should take a lesson from the Vicus Caprarius or the church of San Nicola in Carcere which both at least make a good attempt at explaining what you're seeing (or from the spectacular Le Domus Romane di Palazzo Valentini which does a superb job of it, although at admittedly great expense). 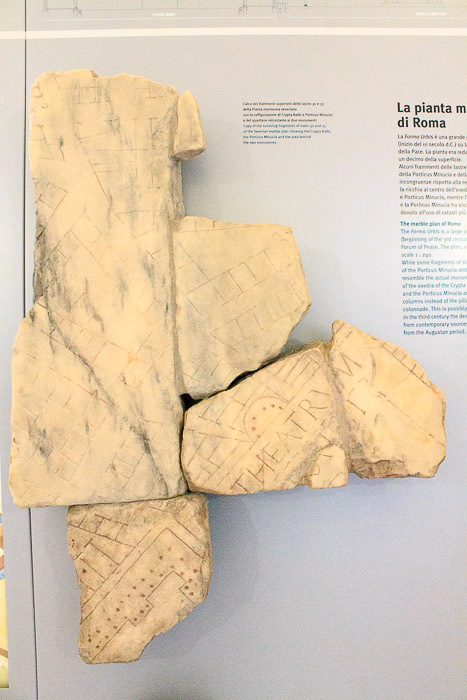 However, that said, if you have already purchased a ticket to the National Museum of Rome and it is not yet expired, this museum does have those fragments from the Forma Urbis, which are worthwhile, and it is cool to be in the underground basement of Roman ruins, even if you don't really understand much of what you're seeing. 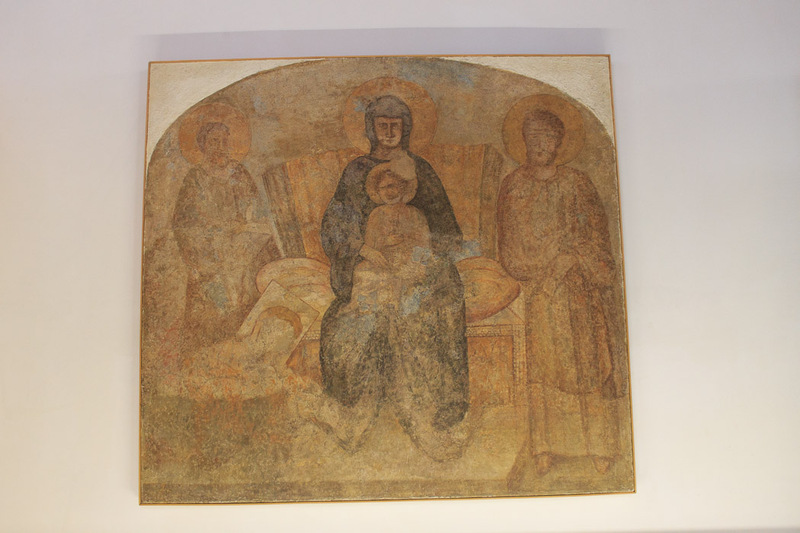 See all National Museum of Rome - Crypta Balbi photos. 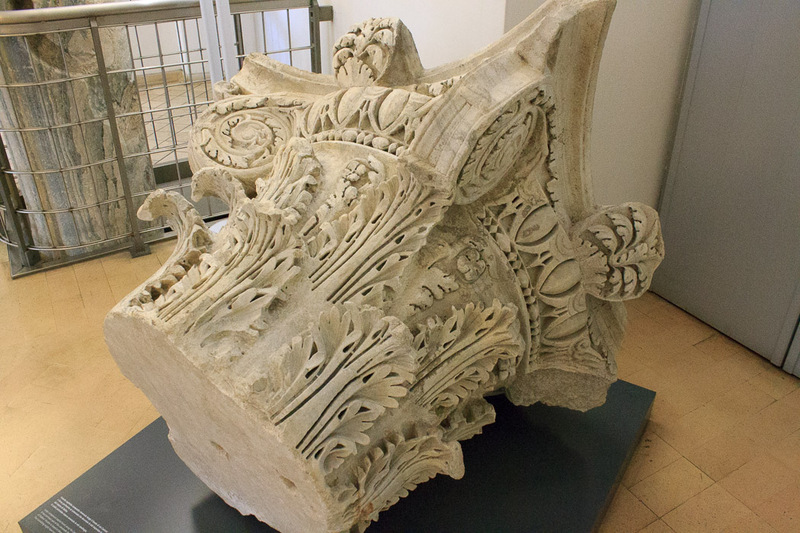 Fragments of the Forma Urbis in Crypta Balbi - Identified!